Department store Debenhams decided to use size 16 mannequins to both reflect the average size woman and give her a shot at seeing what clothes might actually look like on her. Queue hand-wringing and wailing. The hypothesis that Dame Davies seems to be working under, of course without a shred of evidence, is that fat people will all get thin if we never see anyone (including a mannequin) who looks like us shown in a positive light. I hate to have a Dr. Phil moment here, but we’ve been doing that for quite a while now – how’s that workin for ya? Junot Diaz said: “If you want to make a human being into a monster, deny them, at the cultural level, any reflection of themselves.” That is exactly what Dame Davies is engaged in doing. It turns out that most people aren’t motivated to take care of themselves by seeing only negative portrayals of people who look like them. The message that fat people should hate our bodies and ourselves is phenomenally effective at convincing fat people to hate our bodies and ourselves. The problem is that, in what I would call a stunning flash of the obvious, neither health nor thinness (two different things let’s remember) follow. But heavens forfend we have a fat person shown in a positive (or even neutral) light – we’ll soon find ourselves accused of that most heinous (and completely ridiculous) of crimes: “promoting obesity“ a gateway crime to “normalizing obesity”. Again, the idea being that we must keep fat people in constant misery by only showing fat people in constant misery – or not showing them at all…and why? Maybe it’s because people are actually so misguided as to believe that all fat people will become thin if the world simply refuses to allow us to see ourselves in it as anything but “abnormal” (of course being normal is the most important thing.) Or maybe it’s because if we stop shaming fat people then they might stop pouring money into the diet industry for a solution that almost never works, and they really like getting our sixty billion dollars a year. I don’t buy the idea that showing fat people in a positive light will make other people want to be fat (because I don’t think this is a V8 commercial where people see a happy fatty, slap their forehead and say “I coulda been fat”), and I don’t think that a ceaseless stream of shame is doing anything good for fat people. So let’s try a new experiment. Let’s normalize bodies of all sizes – let’s acknowledge that bodies come in lots of different sizes for lots of different reasons and move on to focus on other things based on people’s own prioritization and goals. Can you imagine if size was not an issue? Movies with fat leading men and ladies, magazines filled with people of all sizes, billboards with fat people selling dishsoap, a world without fat jokes, a world without articles about how Santa Claus promotes an unhealthy body image. Take a minute to realize that everything fat people accomplish today is done in spite of the fact that we live under the under the crushing weight of constant social stigma. Imagine what fat people could do if we didn’t have to live with a ceaseless stream of societal oppression. Peter Muennig’s research from Columbia found that most of the health problems that are correlated with obesity are also correlated with being under a high degree of stress for a long period of time (for example, the stress of constant shaming and stigma). Therefore, public health messages that add to the shame and stigma that fat people face may actually decrease health in fat people. Muennig also found that women who were concerned about their size experienced more physical and mental illness than those who were ok with their size, regardless of their size. So public health messages that make fat people concerned about their body size may also have the opposite of the intended effect. Imagine a world where there was no body shame and stigma. 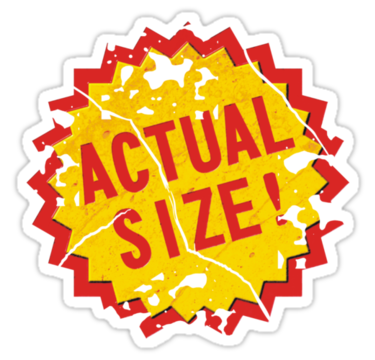 Hey wait, we don’t have to imagine… we could just stop shaming and stigmatizing bodies right frickin’ now! Of course society isn’t coming along with my plan at the moment, but we can do something about it right now. I think that the best thing that I ever did for loving my body was looking daily at bodies that were outside the beauty stereotype -I found that I had no problem with their bodies and I was eventually able to transfer those feelings to my own body. I think you will do yourself a world of good if you seek out images of happy people who are outside the beauty norm every single day. You can also take pictures of yourself and get them out there for other fatties to see- post them on Facebook, Twitter, Tumblr, Instagram your blog, post them in the comments of this blog – whatever. Remember that bodies aren’t better or worse- just different. The constant stream of thin bodies that we see can subconsciously condition us to believe that our bodies are wrong, but that’s just cultural conditioning, and that can be changed, and we can change it. Let’s be our own heroes and our own role models. I am so tired of this whole “Save the Fatties” campaign thing. Jillian Michaels thinks that it’s ok to verbally and emotionally abuse us because she’s “saving our lives”. Doctors ignore our symptoms (sprained wrists, broken bones, rashes, intense back pain, cancer) and treat our body size because “no matter what’s wrong with us we’ll be healthier if our bodies are smaller”. Perfect strangers feel like they should question our food choices, make assumptions and comments about everything from our habits and health to our fitness for parenthood because it’s “for our own good”. People at the gym, including employees, assume that we are beginner exercisers and encourage us in our quest for weight loss without bothering to ask us how long we’ve worked out or if we’re even trying to lose weight because they want to “encourage us”. People, including journalists, actually think it’s ok to ask “Should we accept obesity?” Seriously. As if our fat bodies are someone else’s to accept or reject. This is not a tree, I am not a kitten, you are not a firefighter come to climb your little ladder and rescue me. My fat body is not a message to you that I am somehow incapable of taking care of myself or making decisions about my health, or that I am looking for unsolicited opinions about how to live my life. As the brilliant Marilyn Wann has said, the only thing that you can tell from looking at my body is what size I am, and what your prejudices and stereotypes about my size are. Deal with them or don’t, that’s up to you; but I have no obligation to be the pillow that you beat with a tennis racket trying to work out your issues – trust me when I tell you that “emotional punching bag” is not just another free service I offer. I am perfectly capable of making decisions about myself, my food, my exercise, my health, and anything else about my life. If I want your opinion on how to live my life, I swear you will be among the very first to know – but it’s safe for you to assume that this fatty doesn’t need saving. The fabulous Golda Poretsky is offering a great class on Health at Every Size. You can check it out here. I’m a member of Golda’s affiliate program, so if you decide that the class is for you, you’ll support yourself, Golda, and me – win, win, win! Yesterday we talked a little bit about presenting options as a form of activism. Today I want to talk more about the power in that. My goal as an activist is never about telling other people what choices they should make for themselves. My goal is to insist upon the right to life, liberty, and the pursuit of happiness by our own definition without shame, stigma, or weight bullying, and it’s about letting other people know that they have the option to do the same. There are people right now who actively hate themselves and their bodies because they don’t know that there is any other option. People who are trying to lose weight because they believe it’s the only path to health. People who believe that they don’t have a right to life, liberty and the pursuit of happiness until they are thin. People who don’t know that they have the right to demand that they be treated with basic human respect while living in a fat body. It and affect all areas of fat people’s lives from self-esteem to healthcare to sexuality. An acquaintance once sent me an e-mail after reading my blog. He said that he believed in what I do but that I was wasting my “time, life, and a first rate mind”. He said that this battle is “unwinnable” and that I should spend my time doing something else because the diet industry is so big and the beliefs are so prevalent that it “doesn’t matter what is true”. I don’t care how many people are shouting (and profiting from) a lie, it ALWAYS matters what is true. There are people out there, right now hating themselves, starving themselves, not aware that the diet industry is lying to them about their chances of “success”. There are people who believe what they have been repeatedly told – that they can never be healthy, happy, loved, or successful until they are thin – and some of them will die trying to get it done. I’m not wasting my time, life, or mind because it’s not about what effect I have on the diet industry or the views of the majority, it’s about giving people who are suffering a way out – another option. 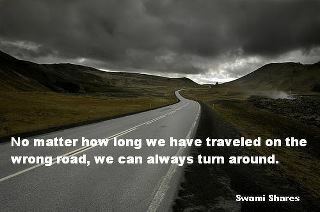 If enough of us change our own worlds, we will eventually change the whole world. When we stand up to the diet establishment and thin-obsessed culture just by telling our truth, we can be the catalyst that sparks people to consider other points of view, start asking a lot of questions about the status quo, and consider an option where they actually love themselves and start making their own choices about health rather than just gaining the weight back from the last diet and then starting the next diet. We’re giving people an option, and they don’t have to take it – that’s not our business. As a bonus by standing up and telling our truth we reinforce our self-esteem, body image and good health in the process. It’s not about what’s easy or feasible or what people think is possible when it comes to changing the world. It’s simply that I believe that when it’s time to stand up, you stand up. Because when you stand, others get the idea that they can stand to, then we stand together and fight for change, and then we win, but it all starts with a new option. The little boy zipped up the backpack and wore it around all day, all the way home on the bus. Imagine his Mom’s surprise when she walked in from the kitchen to see a live penguin on her coffee table, staring her precious angel-faced baby boy right in the eye. Now that the penguin is safely back in the zoo (although if he chose a black hole and a first grader over his zoo accommodations I have some questions) all of that is a funny story. But then the comedian made a point that I’m making the point of this post. First grade boy did not steal a penguin. He didn’t scale a fence, swim a moat, and chase a penguin down with a net in an epic struggle of first grader vs. flightless bird. First grade boy created a NEW OPTION. He opened his backpack and the penguin ostensibly surveyed his surroundings, looked into the sincere face of a first grade boy and the backpack he was being offered and made a choice to try something different. I think sometimes those of us who have opted out of the toxic culture of body hate, and come up happier on the other side, want other people to have that so badly that we push too hard – trying to change other people’s lives or viewpoints; trying to “empower” people by force. Or we can take ourselves too seriously and think that we are changing people’s lives – that we are empowering people – when the truth is that the only thing that we can ever do create a new option, and give people the chance to change their own lives. With our day to day living and interactions, our blogs, our work, our personal choices, what we post to social media, we can introduce people to a perspective that they might not have considered before, open a dialog, and give them a choice they didn’t realize they had. To me the core of activism is to live from a perspective that works for you and share that perspective with others authentically and without any obligation. They can take it or leave it – as long as they know that it’s an option, we’ve done our job. We can never change someone’s mind – they have to do that, it being their mind and all – but we may be able to expand it with a new idea, a new perspective, a new option and that is powerful. EDIT: Public Service Announcement: Someone who studied law has pointed out in the comments that the boys actions did indeed constitute theft. I meant the story as a bit of a parable but in case that wasn’t clear, I’m not endorsing stealing animals from the zoo. Thanks! This is posted in the Kuala Lampur Convention Centre. The ICO website boasts that Malaysia offers “world-class infrastructure and easy accessibility.” That may be true for Malaysia, but thanks to the ICO we can’t say the same thing about the second floor of the Kuala Lampur Convention Centre. There is good research that shows that movement can contribute to health (though there are no guarantees and no obligations). There is absolutely no research that says that the movement has to be stairs. I’ve already ranted about self-important blowhards who feel the need to suggest that fat people shouldn’t have access to mobility aids. The ICO has taken things a step further and it’s posturing of the worst kind. What the International Congress on Obesity has done is to convince the Kuala Lampur Convention Center to make life more difficult for people with disabilities, limited mobility, balance challenges, injuries, etc. so that the ICO can posture and preen. (I assume there are still elevators – I can’t find where either the convention centre website or the ICO website discuss accessibility – but they’ll require people to travel farther, since they have to get to the escalators to see that they aren’t working, and now there is shame attached to using the elevators.) And they’ve done it for an idea with no basis in research. I want to be clear and repeat that there is NO evidence that taking away escalators (or taking away escalators from 9:30am-4pm) as an option will lead to long-term weight loss, or increased health (and let’s remember that weight loss and increased health are two different things) either for individuals or the population at large. The truth is, we have no idea whether more people taking the stairs will lead to better health, weight loss, or just more people falling down the stairs, but it doesn’t actually matter because this doesn’t really have anything to do with health, or stairs, or even weight loss. It’s about ego and posturing. 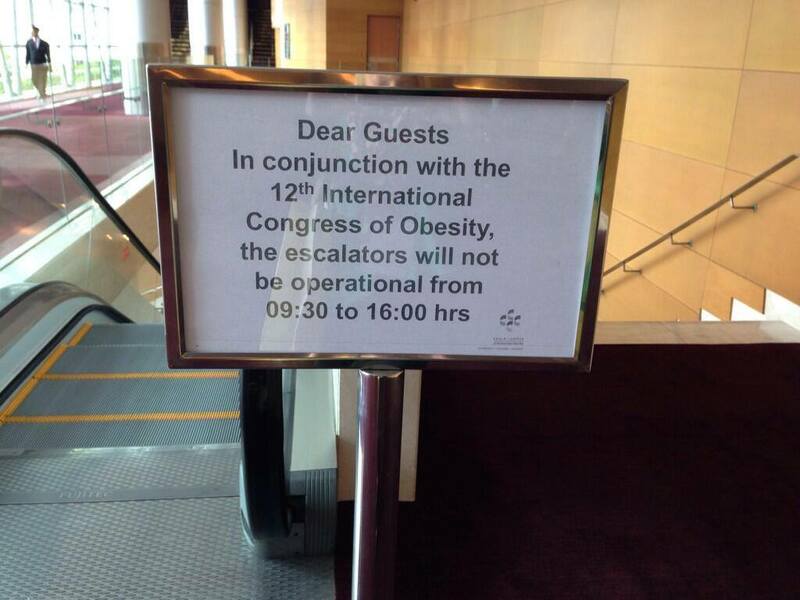 Note that the sign in the lobby doesn’t say anything about health, or what the ICO hopes taking the stairs will accomplish, they don’t even pretend to offer education because it’s just about the International Conference on Obesity wanting to show off and get their metaphorical fat-free low-carb cookie for their brave work confusing body size with health. If they weren’t so busy posturing they would have probably considered that people can still climb the escalators even if they are operational, so there’s no need to take away options for people with disabilities, limited mobility etc. This is par for the course in a world where the focus is on the ego of the person/people/organizations trying to get their “Save the Fatties Club” membership jacket. When organizations pull stunts like this, the only thing at which they can possibly succeed is creating an environment that prevents people from, and shames people for, navigating the world in the way that’s best for them and their situation. I think it’s far more important that as many places as possible are as accessible as possible to as many people as possible, than that some people are forced to take some stairs. So I’m wondering, what about chunky girls who look up to Gwen Stefani? If Gwen calling herself chunky is so absolutely horrific, what are those chunky girls supposed to think about themselves. I sincerely hope that Gwen was using chunky as a neutral descriptor, in the same way that many of use use the world fat, but that may not be true. I’m not interested in trying to be a psychic (I’ll leave that to the people who think that they can divine information about our eating, exercise and innermost thoughts from looking at us). What I do want to suggest is that we be careful with the “don’t call yourself chunky/fat/chubby/etc.” Whether or not Gwen in this picture meets your personal definition of chubby (we are all allowed to have such a definition, none of us is in charge of having THE definition, so there’s no point in arguing about it) the idea that she shouldn’t call herself chubby is problematic since it suggests that being chubby is a negative thing, which is not likely a point that actual chunky people are going to miss. We have to be careful that we aren’t suggesting that we protect thin girls from body hatred at the expense of fat girls. Suggesting that we shouldn’t call ourselves chubby or fat or whatever as a path to body positivity is seriously messed up. Fat people face a ton of shame, stigma, and oppression – which for thin people often turns into an all consuming fear of being fat – and I do not think that making fat people into Voldemort is going to help anybody out. I think we’ll be much better off working to take the stigma away from descriptors than trying to ban them. Researchers who studied the effects of “school based healthy-living programs.” found that these programs are actually triggering eating disorders in kids. Research from the University of Minnesota found that “none of the behaviors being used by adolescents for weight-control purposes predicted weight loss…Of greater concern were the negative outcomes associated with dieting and the use of unhealthful weight-control behaviors, including significant weight gain”. A Canadian study found that eating disorders were far more prevalent than type 2 diabetes in kids. The Journal of Pediatrics has identified bullying of overweight/obese children as the #1 type of bullying that takes place. I think that the best thing that we can do for kids (and ourselves while we’re at it) is to give them access to a wide variety of foods and movement options and encourage them to see their bodies (and everyone else’s) as amazing and worthy, and that includes describing those bodies without fear or shame – skinny, thin, chunky, fat or otherwise.